If there is one thing which fascinates Emerging Market watchers, it is trying to predict which economies which will enjoy success in the future. Predicting these winners is critical when making decisions around investments and business strategy. 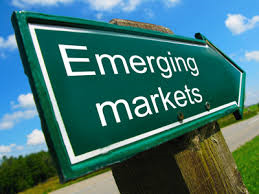 Fortunes in Emerging Markets can turn very quickly, the success stories of the last few years like India, Russia and even China have all suffered setbacks, downturns and political scandals to varying degrees of severity while other countries have come to the fore. Below I take a look at seven upcoming cities, countries and regions which have the potential to be the “next big thing” in EM. “The one that got away”, while the majority of East Asian countries have boomed and hit middle income status over the last few decades, this island nation has never seen the stellar growth to push into Thailand or Malaysia’s league, never mind the super achievers of Taiwan and South Korea. But that could soon be about to change as the right combination of economic elements finally comes together to achieve the alchemy that is high sustained growth. Commercial success has been driven by strong manufacturing growth and increased consumer purchasing, even the disastrous and tragic typhoon which hit the nation last year has not knocked its confidence. The Philippines enjoys low debt and still has a lot of low hanging economic fruit, as its per capita income is still only just above $2,000 – meaning it can grow rapidly without overheating. If the country can keep on its current track, while improving infrastructure and education, it can truly prosper and take its rightful place at the centre of the dynamic Pacific region. One of the main stumbling blocks for growth in the continent remains low intra-African trade, only South Asian countries trade less with each other. The East African Union consisting of Uganda, Rwanda, Kenya, Tanzania and Burundi is making great strides to increase local integration, including steps like a Chinese backed rail network, a free trade zone and even the groundwork for future monetary union. The region contains relative heavyweights like Kenya which is on the verge of reaching middle income status and young upstarts like Rwanda which aims to emulate Singapore in building a modern developmental state. Chinese demand and investment has massively helped the region, but they will face more competition from companies coming from India, as well as other emerging economies in the Gulf, Malaysia and others, all of which will benefit the region. In addition projects like the IFC backed Konza Technology City in Kenya, (a key part of the Silicon Savannah phenomena which has put African tech and software companies on the map), are like catnip for growth and will help these countries stride ahead of their African peers and become the best performing region in the continent. For many years this impoverished region was famous for its landless farm labourers and sugar plantations, a world away from the economic dynamism and excitement of the great Southern cities. Now this is changing and the states of the North East, such as Pernambuco, Paraíba, Ceara and Maranhão are experiencing much faster rates of growth in comparison to the rest of the country as they enjoy an infrastructure boom and the benefits of introducing Chinese style clusters of industry, such as the digital city in Recife or the petro-chemical hub in Bahia. The region is also relatively near Europe and West Africa to which they have strong historical ties, but lack the basic transport links to easily access. All this could change if planned infrastructure developments go ahead and improvements to airports, ports, roads and rail connections go ahead. These new links will boost economic growth as it plugs the region into other parts of Brazil, as well as West Africa and Europe. This beautiful region in China’s deep south bordering Laos, Myanmar and Vietnam is currently experiencing among the highest economic growth rates in the country, which of course means very high indeed. While China “slows” to below 8%, this region bordering South East Asia is still enjoying +10 % growth rates. Given the ASEAN region is such an important partner for China, it is no surprise this region is humming with enterprise with the mining, real estate and manufacturing sectors all doing particularly well. What makes Yunnan also particularly stand out is its future as part of the Bangladesh, China, India, Myanmar (BCIM) economic corridor, if enacted this plan will improve the current rudimentary road, rail and air links between the countries, hopefully increasing trade and economic growth. In particular linking the two Asian giants of India and China has enormous potential, the two have a relatively low amount of trade with one another, (although this has increased rapidly in recent years from a low base), and Yunnan will benefit enormously, catapulting itself into a Southern hub – linking ASEAN, India and Northern China. The prospect of sanctions being eased and Iran coming back into the international fold also holds the promise of trade and investment ties being rekindled with the huge Asian country of nearly 80 million people. For so long the emphasis has been on Iranian politics and its potential to make nuclear weapons, but if (and it’s a big if) relations continue to improve smoothly then we could see Teheran taking its rightful crown as a major commercial centre in Western Asia across the vast region between Istanbul and Mumbai. A crown which for so long has been in the hands of the Gulf Emirates. The country’s oil reserves are of course an attraction in themselves, but let us not forget a sizable young population which has been cut off from outside influence and is now eager for new experiences and contacts. If the easing of sanctions rebuilds commercial ties with Iran and the West then the capital is naturally going to be the first place to enjoy the fruits of greater openness and economic engagement. It seems perverse to write this at the present moment (April 2014), and while I certainly wouldn’t bet my life savings on it the Crimea could well be a future economic hotspot in spite of the current political machinations and uncertainty in the Peninsula. Given Moscow will want to see the region enjoying the benefits of Russian rule for public relations purposes, the onus is on its new de facto government to see it thrive. Russia has already announced it will make Crimea a free trade zone, but also expect heavy state led investment, further tax breaks and subsidies from Putin. Add into the mix the fact 90% of Western companies will not want to operate there due to political risk, leaving a vacuum which will be only partly filled by Russian companies, therefore there are significant arbitrage opportunities for those willing to take a risk on the region. Off course all bets are off if Russia and Ukraine go to war, but despite all that has happened, this is remains unlikely, the more likely option is that it will remain a frozen conflict with only Russia recognising its annexation of Crimea. A country long known for floods and famine is finally starting to come into its own, partly thanks to its garment manufacturing industry, which is sadly rife with low pay and poor standards, but also a proven engine of growth for low income countries. So many of the clothes on sale in popular high street UK shops such as Primark and H&M are made in the country, although it will have to keep an eye on potential African rivals such as Ethiopia, who will provide competition as costs rise, but there is no reason the country cannot now move up the manufacturing food chain the same way China has done and make higher value goods. All this can help the country overcome the massive challenges it faces such as a high population density and severe flooding risk, only set to worsen thanks to global warming. Nice analysis. I’m interested to see the development of the East African Community. At last Fall’s IMF/World Bank meetings, Uganda’s Finance Minister shared the level of coordination she has with the other finance ministers in the EAC – something that I think surprised the audience. I anticipate that region will continue to surprise. I look forward to tracking Northeastern Brazil and linkages to West Africa. Thanks for pointing that out. Many thanks, thats an interesting point regarding the coordination around finance ministers, I shall be watching the region with interest and optimism! Absolutely. Here is a link to the video of the session: http://www.imf.org/external/am/2013/mmedia/view.aspx?vid=2733735570001. A bit long, but interesting. Pingback: Access to Water: Where Are We Standing on the Millennium Development Goals?